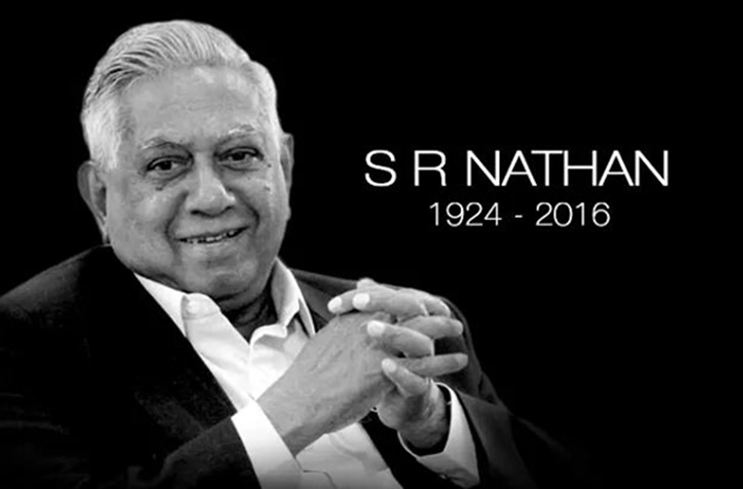 The Singapore Scouting fraternity mourns the loss of Singapore’s 6th and longest serving President, Mr SR Nathan. President Nathan also served as Chief Scout of Singapore during his Presidency from 1999 to 2011. For his services to Scouting, he was conferred the Gold Lion award in 2010 and the Long Service Award in 2011. In the words of Prime Minister Lee Hsien Loong, President Nathan was “a true son of Singapore”, with “deep sense of duty to nation”, and “an inspiration to us all”. Before becoming President, he had a distinguished 40-year career in public service that spanned the worlds of trade relations, security and diplomacy. As President, he endeared himself to Singaporeans and was warm and approachable. President Nathan was an active and dedicated Chief Scout, who spared no effort in promoting the scout movement. He strongly supported many of our fund raising drives and graced many of our activities and events. He was keenly interested in the development of scouting in Singapore and provided much invaluable advice and guidance. He also personally sponsored many young needy scouts to attend jamborees overseas. In doing his best both in the exercise of his duty as leader and citizen and in helping other people, President Nathan was a shining example of what scouts aim to attain and live by. He lived up to the exhortations in Baden-Powell’s last message, having left Singapore better than when he found it. We, Singapore Scouts salute you and in mourning your death, will aspire to live by the scouting values that you strongly exemplified in your life. We will certainly miss you.